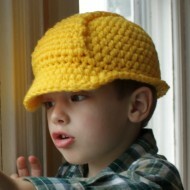 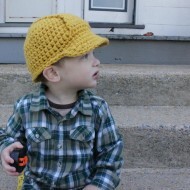 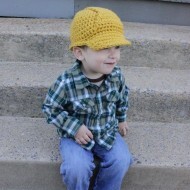 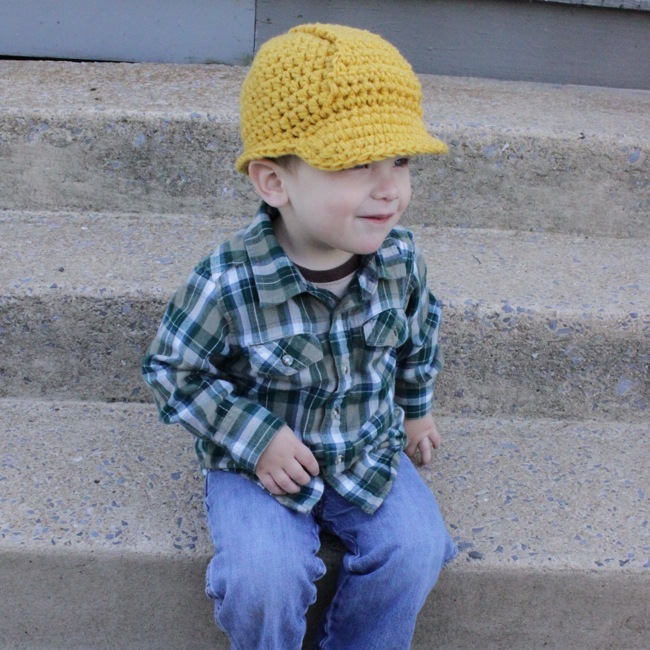 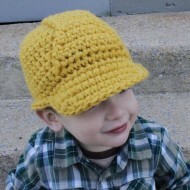 Here is another fun crochet version of a real hat. 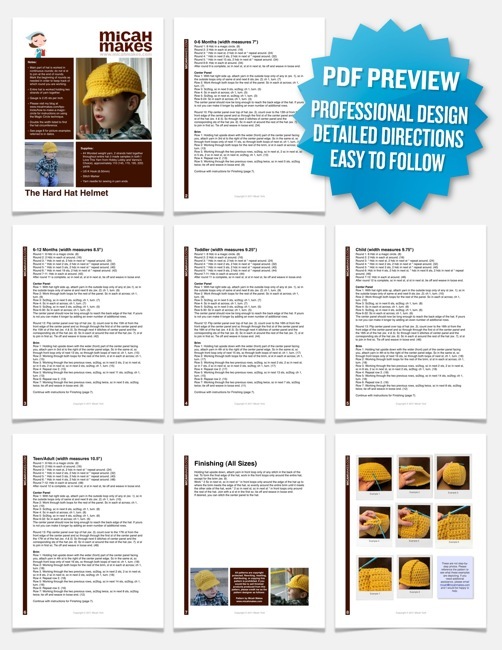 This hard hat helmet is great for playing “dress-up” or for a costume, but could also be a great everyday hat for all of those construction enthusiasts out there. 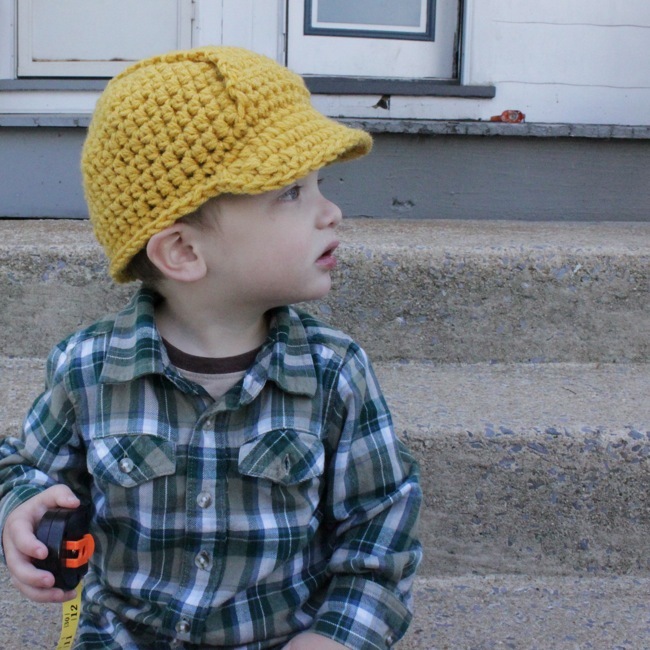 My boys love to pretend they are “Bob the Builder” and “Handy Manny,” running around in their hats with all of their toy tools. 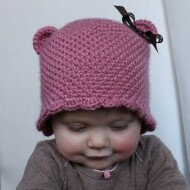 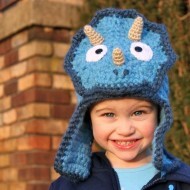 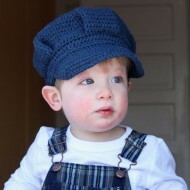 This hat is made with two strands of worsted weight yarn and contains five sizes.